I seriously need to catch up on my films from being away last month. I didn’t even get to watch any of last months films never mind blog about them. I’m back on track now and I’ve got to get a move on because I’ve got another month of films to look forward to. Slow down! We’ve got a right mixed bag of treats to look forward to this month starting with the movie which holds all the answers to this years highest earner. Finally! 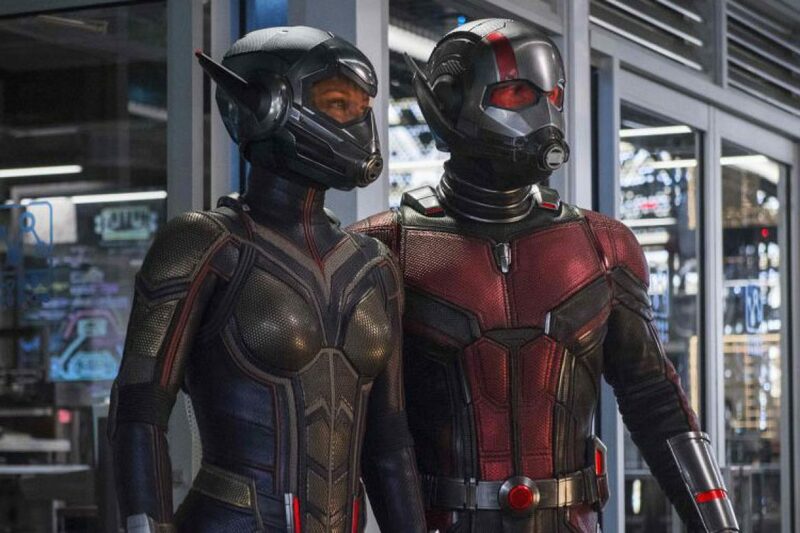 We get to find out some answers to our questions regarding Ant Man’s lack of participation in the Infinity War. Where was he? Will they show the outcome? Did he survive? I wasn’t a fan of the first film as you can tell by it’s standing in my recent post “Marvel Universe films Ranked Worst to Best“. Sorry about that. However, I think this film might rank a little higher…maybe? First things to know about this film is…it’s NOT an X-MEN movie but it’s close enough it could be. It’s based on the Fantasy Novel by Alexandra Bracken when the world is wiped out by an infection and some children are given new powerful abilities. Mutants. A Battle. Same story. Lots of CGI. It’s basically an X-MEN movie with a lower budget (and better actors). Another shark movie. Great…BUT WAIT. This time is a 75-foot-long prehistoric shark and it’s starring Jason Statham. OK. It was a long shot. Shark movies are a bit hit and miss. Since Jaws, everyone wants to try and top it but you can’t beat a masterpiece. Open Water being the worst but Deep Blue Sea will always be my guilty pleasure. Could it be so bad it’s actually good? The cutest movie of the whole month or YEAR is on our doorsteps. Winnie the Pooh is back with Ewan McGregor in toe as Christopher Robin. A sweet movie about growing up, still having adventures and staying friends…even with make believe characters you made up when you were 5. A girly, silly, action, comedy movie. Not had one of them in a while. Didn’t really expect this kind of movie from Mila Kunis. She must have forgot to get off the comedy bandwagon since BadMoms and then it’s awful sequel (except that wax scene which was just epic). If you fancy something silly to watch with your girls then this is for you. Let me know how it goes…I won’t be watching till I can stream it…if I’m really bored. Our monthly horror film is Slender Man. Right up my Elm Street! Four teenage girls perform a ritual (as you do) and summon Slender Man. One of them goes missing and realize it worked. Stupid people! Not a fan of rituals. Seriously, why would you do that but I love a good horror flick and this trailer looks super scary. I’m in. Which of these films are you excited to watch this month? Let me know in the comments below. Winnie the Pooh looks great! Not sure about the others. I can’t wait for Christoper Robin it looks so cute! I think The Meg is going to be terrible but I’ll be going to watch it anyway to see if it’s as bad as I expect it to be and I’m looking forward to Antman as well! I hate horror films but I’m sure my Fiancè will drag me along to see Slender Man!